There are a few things you should have together before your wedding flower consultation. You should gather ideas, have a budget and go through the Wedding Flower Checklist below. Gather photos of flowers you like and color schemes. It’s also helpful to bring a color swatch that matches the colors of the wedding dress and the bridesmaid dresses. Be sure to bring any charms or decorations that need to be added to a bridal bouquet or boutonniere, too. 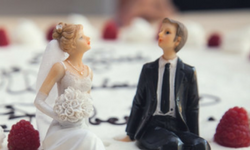 Tip: A lot of brides collect wedding ideas on Pinterest. If you like any of our Wedding Flower Gallery photos, feel free to save them to your boards. 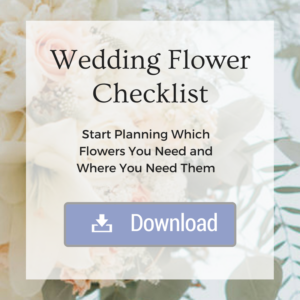 We have put together a checklist of wedding flowers (PDF), organized by Personal Flowers (Bouquets, Corsages, and Boutonnieres), Ceremony, and Reception. Select your essentials, then customize your selections. The first thing people think of when you say wedding flowers is the bride’s bouquet. Ceremony flowers can be as simple as that, but most people want flowers for all members of the wedding party, plus decorations for the wedding venue and reception location. Our Wedding Flower Checklist will give you some ideas and help you determine the number of flower arrangments you want. We can work with all budgets, but it’s a good idea to have some sort of idea of how much money is available to spend and what not to exceed. To learn more, see our article: How Much are Wedding Flowers. Then, see our Flower Samples and Pricing page for an idea of prices.